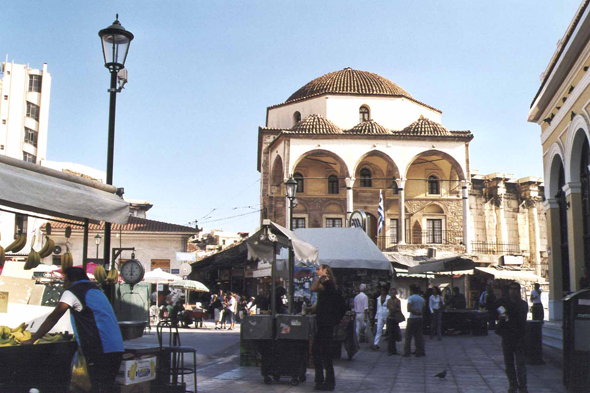 The Monastiraki Square, bears the name of its small church. Monastiraki is the noisiest district of Athens, but also the more colouredand the most disordered. It swarms with pedlars.